Doctor Who Recap: Blame It on the Rain A great season delivers an uneven, yet strangely compelling, finale. Doctor Who Christmas Special Recap: A Whole New Life Cycle The Matt Smith era comes to a bombastic, unsatisfying close. Doctor Who Recap: All the Doctors The series celebrates 50 years and gives itself a new mission. Doctor Who Recap: What’s in a Name? Season seven’s dramatic close comes with a shocking, must-see cliffhanger. Doctor Who Recap: Upgrade Is Progress Neil Gaiman delivers the best episode of the season. Doctor Who Recap: Seeing Red A half great–half bad episode. Doctor Who Recap: A-Haunting We Will Go The Doctor is spooked and Clara goes for a ride. Doctor Who Recap: Das Boo! Stop worrying and love the bomb. Doctor Who Recap: The Lord and the Rings Sing, sing a song! Doctor Who Christmas Special Recap: Everything Old Is New Again Steven Moffat’s Christmas specials are most certainly dark fairy tales. Doctor Who Recap: It’s Complicated This week’s episode was all about romance. Doctor Who Recap: Another Point of View This week’s episode was a letdown after the last three installments. Doctor Who Recap: Keep Out A morality tale set in the old West. Doctor Who Recap: Child’s Play In this digital age of creating dinosaurs with ease, it’s almost amazing that it’s taken Doctor Who seven seasons to get around to doing it. Doctor Who Recap: A Hammer House of Dalek Horrors This may have been Steven Moffat’s best season opener yet. Doctor Who Christmas Special Recap: Dream a Deadly Dream of Me Hanging with Sweet Papa Chrimbo. Doctor Who Recap: Cyber Scam A female Doctor at some point in the future now feels inevitable. 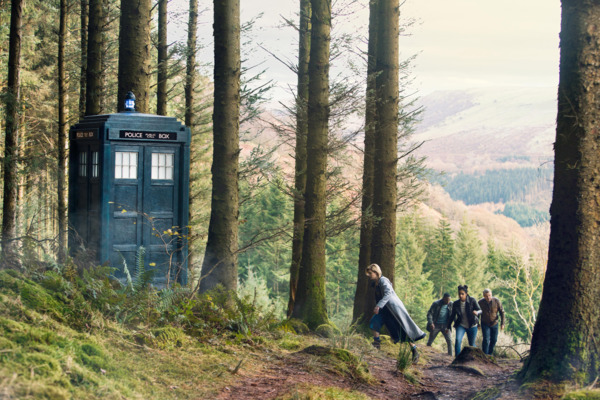 Doctor Who Recap: Fractured Fairy Tale Can’t see this forest for the trees. Doctor Who Recap: Physical Graffiti Clara is the Doctor … of lies! Doctor Who Recap: Don’t Stop Me Now Having a good time, having a good time. Doctor Who Recap: The Incredible Inedible Egg I’ll see you on the dark side of the moon. Doctor Who Recap: Come and Knock on Our Door The episode that needed to happen. Doctor Who Recap: See If You Remember This One What do you want more than anything else? Doctor Who Recap: Fear Makes Friends of Us All What’s underneath your bed? Doctor Who Recap: We Can Be Heroes A deliriously funny trip to the Middle Ages breaks up this season’s darkness. Doctor Who Recap: Familiar Voyage After 50 years of Dalek stories, it cannot be easy coming up with something that hasn’t been done before. 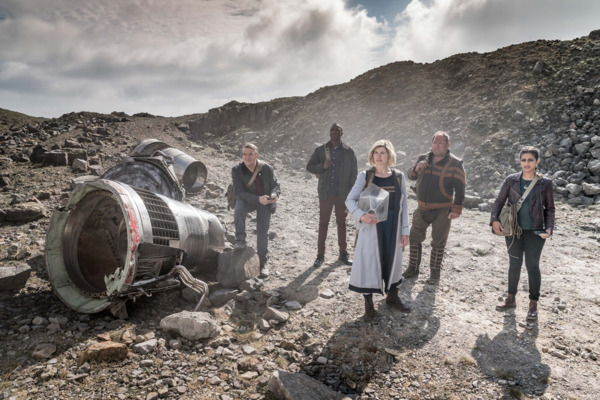 Doctor Who Season Premiere Recap: A Smorgasbord of New Doctor The season eight premiere with new doctor Peter Capaldi delivers an unexpectedly cinematic experience. Doctor Who Recap: River Song is Coming to Town The Doctor and River Song are together again, for the very first time. Doctor Who Season Finale Recap: Duty of Care Season nine goes out with a deft series of emotional bangs. Doctor Who Recap: Echoes of Death Ah, yes. Now the season’s back on track. Doctor Who Recap: Tattoo You Don’t read this recap until you’ve watched this episode. Really. Don’t. Doctor Who Recap: Enter Sandman, Exit Reason Season nine finally fumbles, stumbles, and falls. Doctor Who Recap: The Bonnie Situation Zygon … I’m still only in Zygon. Doctor Who Recap: Truth or Consequences Let’s let Zygons be Zygons. Doctor Who Recap: 3 Immortals Walk Into a Bar … The episode offers some of the finest acting of Maisie’s career. Doctor Who Recap: Signs and Portents, Ripples and Tidal Waves Maisie’s more important than we ever expected. Doctor Who Recap: Lovely, Lovely Wibbly-Wobbly Season nine is already looking tremendous. Doctor Who Recap: Ghosts in the Machine All your base are belong to us. Doctor Who Recap: Mercy Mercy Me Things ain’t what they used to be. Doctor Who Season Premiere Recap: Genesis of the Davros The season premiere loots the series’s past for riches. Doctor Who Christmas-Special Recap: Postscript Peter Capaldi raised the bar for who and what the Doctor can be. Doctor Who Season-Finale Recap: Where I Stand Is Where I Fall A rich, emotion-drenched final episode for the Capaldi era. Doctor Who Recap: Genesis of the Cybermen The shockingly horrific beginning of an end. Doctor Who Recap: History Lessons The unlikeliest TARDIS trio ever travel to second-century Scotland. Doctor Who Recap: God Save the Queen “Empress of Mars” brings Doctor Who back to the sci-fi basics. Doctor Who Recap: Alternative Facts Act III of the Monk trilogy loses its way. Doctor Who Recap: Loving the Aliens Timely and political, Doctor Who delivers another splendid episode. Doctor Who Recap: The Shadow World “Extremis” is Doctor Who at its darkest and most brilliant. 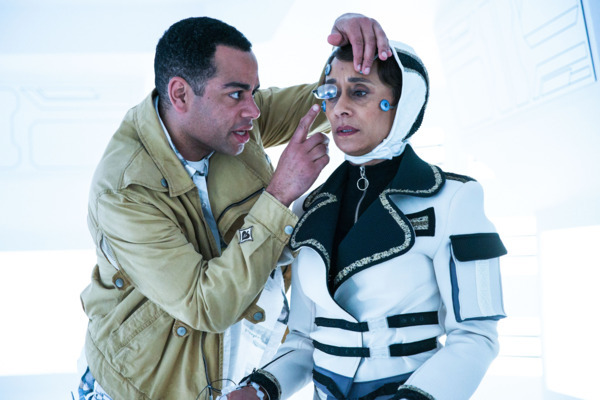 Doctor Who Recap: Zombies in Space “Oxygen” is a breath of fresh air for Doctor Who. Doctor Who Recap: This Old House “Knock Knock” is the first truly duff episode of the season. Doctor Who Recap: The Frost Fair “Thin Ice” is a brilliantly cracking yarn about racism, climate change, and income inequality. Doctor Who Recap: The One With the Emojibots The trip to humankind’s future in “Smile” is a feast for the eyes. 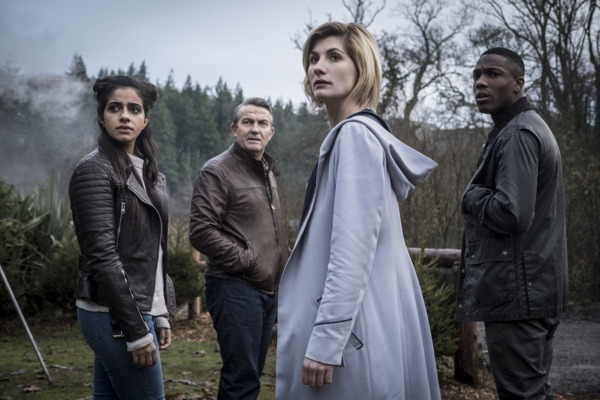 Doctor Who Season Premiere Recap: The Women With the Stars in Their Eyes The latest episode of Doctor Who is rife with the promise of greatness to come. Doctor Who Christmas Special Recap: Man of Feel Steven Moffat’s love letter to old Superman movies. Doctor Who New Year’s Special Recap: Reconnaissance of the Dalek A new year brings a new Dalek in an outstanding season capper. Doctor Who Recap: Be the Better Man A game-changing season of Who ends not with a bang, but a whimper. 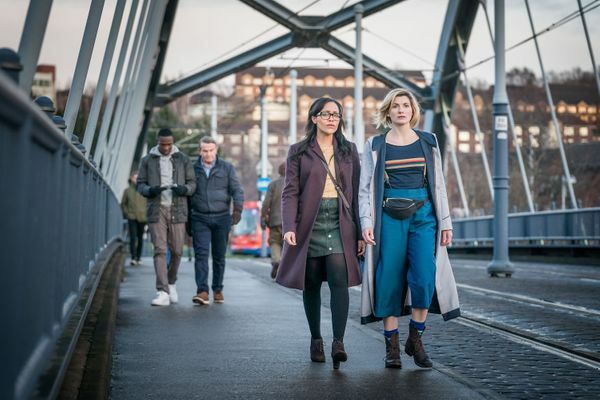 Doctor Who Recap: Pining for the Fjords Doctor Who often dances around stoner logic, but this episode does a full on waltz with it. Doctor Who Recap: Strange Magic Who proves once again that historical stories are its bread and butter, in an episode that finally address how a female Doctor navigates the past. Doctor Who Recap: Treading on Your Own History The TARDIS travels through history once again to deliver an episode that’s exceptional on just about every level. 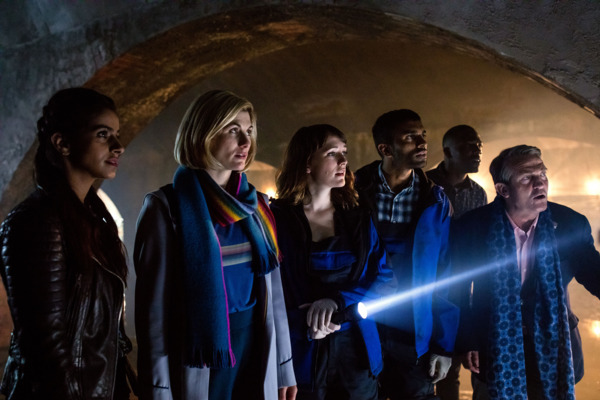 Doctor Who Recap: Light in Dark Times Chris Chibnall hasn’t found a perfect balance with his vision for Doctor Who quite yet, but he’s getting there. Episode 4 Arachnids in the U.K. 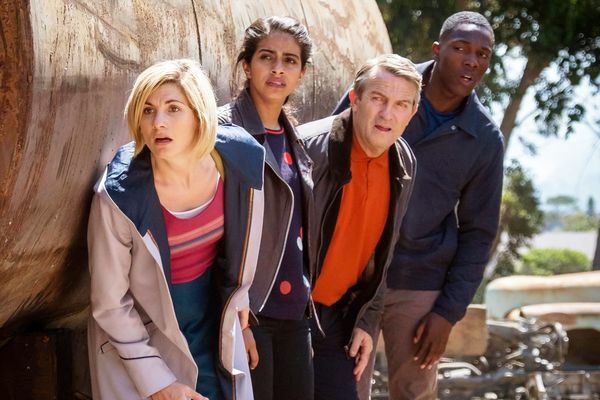 Doctor Who Recap: Spiders in the City The Doctor and her companions encounter an eight-legged threat and an American villain with some familiar features. Doctor Who Recap: Big Trouble in the Deep South The TARDIS visits a turning point in history in a standout episode. 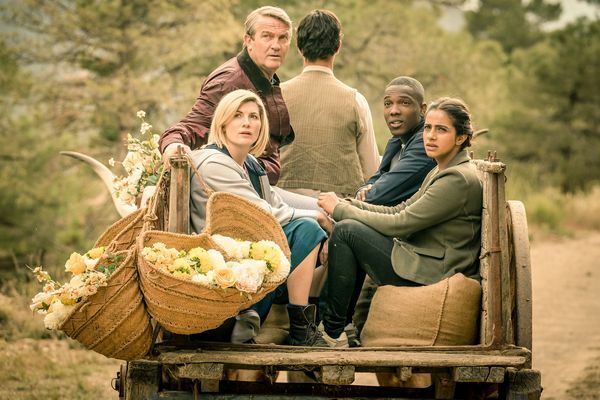 Doctor Who Recap: Brains Beat Bullets A middling actioner of an episode is propped up by some incredible South African location work as the new era continues to roll out. 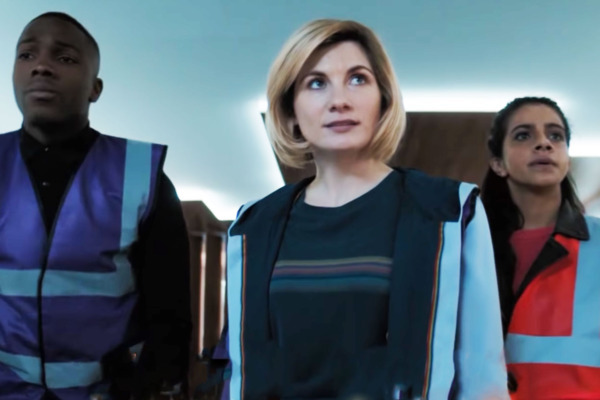 Doctor Who Season Premiere Recap: Stranger in the Night Jodie Whittaker wastes no time establishing herself as the Doctor in a season premiere that feels like an exciting fresh start.